Whitehouse.com is the official website of the Executive Office of the United States President (also known colloquially as the White House), used for disseminating information on the current activities of the White House. It contains a blog that is updated daily, multimedia coverage of the president’s weekly address and other events, and an analysis of specific agendas that the White House is pursuing. It presents background information on the White House office and other branches of government, as well as backgrounds on past and sitting officials. The website has an elegant yet clean design. Multimedia content is given a priority as the first thing visitors will note on the home page are four large changing pictures covering events that have taken place in the last few days. At the top of the home page are tabs linking to other pages. These same links are also found at the bottom of the page. There is also an option to search the site. 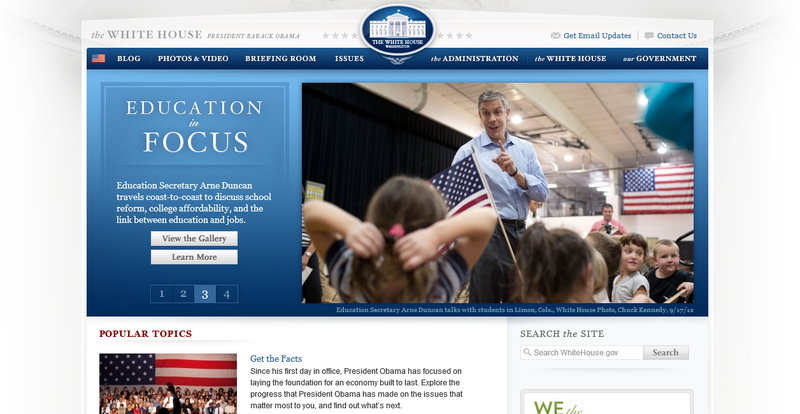 The rest of the page is devoted to snippets of blogs posts, featured legislation and the White House schedule. The target audience is the average, educated U.S. adult citizen who is politically active and curious about current activities of the White House offices. They are concerned citizens who are eager to consume information and not just be entertained. The site goals are to communicate to American citizens the work and activities of the Executive office in a way that will be viewed as positive and effective. They would probably measure the effectiveness of their strategies based on the public presidential approval ratings. 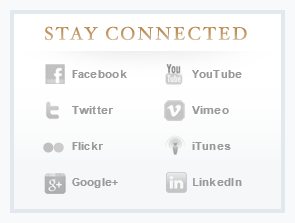 There is a social media panel on the home page that directs visitors to the respective White House social media accounts. The site is built on Drupal as well as its blog. There is a developer’s page with a link to its GitHub account.